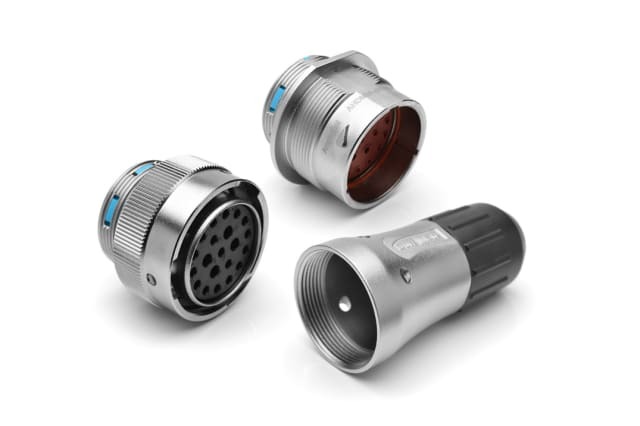 Amphenol has released its DuraMate AHDM environmentally-sealed, IP69K-rated, multi-pin, metal circular connector series, which provides an economical quick-connect bayonet locking system manufactured to withstand the challenges and complexities of harsh environments and off-road applications. The connectors are suited for heavy equipment, transportation, industrial, construction and other uses. For more information, visit Amphenol’s website. 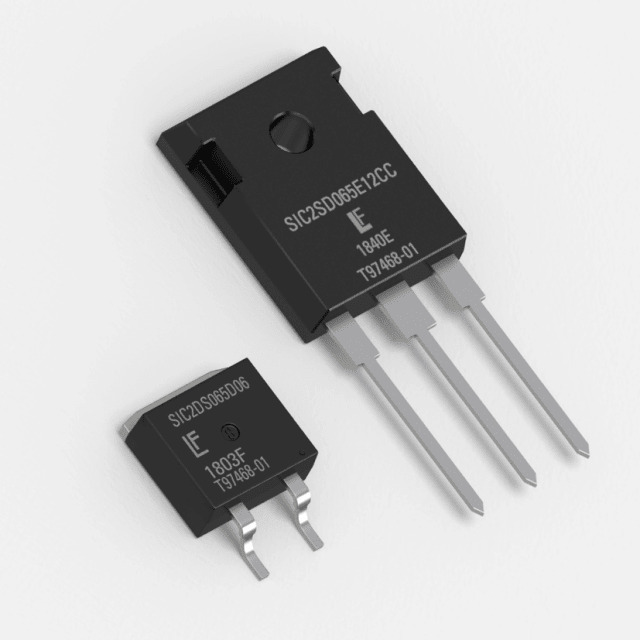 Littelfuse has introduced two additions to its line of second-generation, 650V, AEC-Q101-qualified silicon carbide Schottky Diodes. Both series provide power electronics system designers with a variety of performance improvements over traditional silicon-based devices, including negligible reverse recovery current, high surge capability and a maximum operating junction temperature of 175°C. 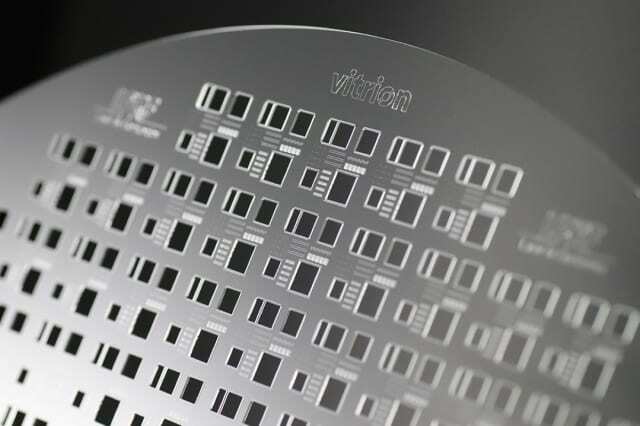 LPKF has published an article on Laser Induced Deep Etching (LIDE) for thin glass processing. 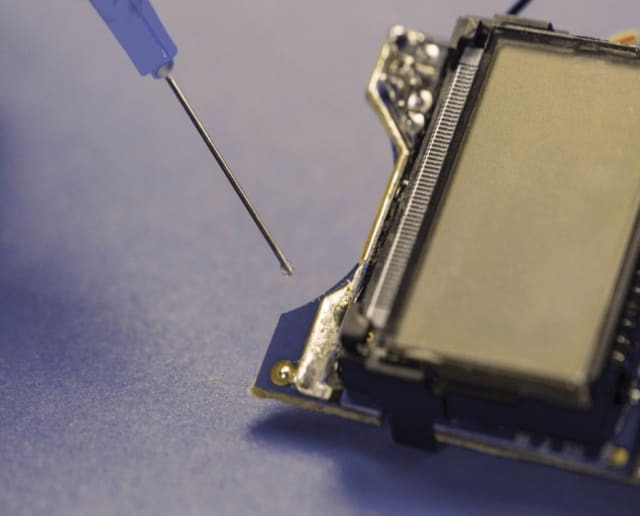 Due to its properties, glass is an interesting material for many areas of advanced IC and wafer level packaging. For a long time, it was considered very difficult to process. Production-related surface defects have given glass the reputation of being susceptible to brittle fracture and thus, at best, suitable for simple packaging tasks. For more information, visit LPKF’s website. Master Bond has launched its Supreme 3HTS-80, a one part, silver filled epoxy adhesive that is not premixed or frozen and features an unlimited working life at room temperature. Supreme 3HTS-80 has a volume resistivity of less than 0.05 ohm-cm. Upon curing, it exhibits a hardness of 50-60 Shore D and a thermal conductivity over 20-25 2.9-3.6 W/(m•K). This 100 percent reactive epoxy bonds well to metals, composites, glass, ceramics and many plastics. As a toughened system, it can withstand thermal cycling and shock with a service operating temperature range from -73°C to +177°C. 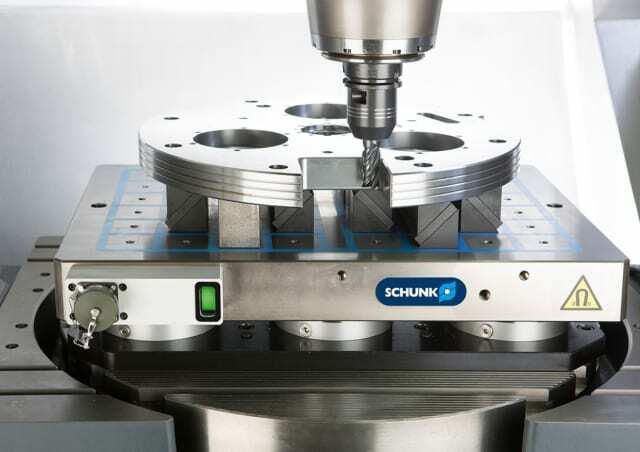 SCHUNK has unveiled its MAGNOS clamping system. According to the company, the secret of deformation-free workpiece clamping by means of a magnet lies on the one hand in the movable pole extensions, and on the other in the optimized interfering contours. Comparable with a waterbed, the MAGNOS movable pole extensions attach to the workpiece in the case of electrically activated square pole plates and compensate for workpiece unevenness in the first set-up.